The late Robin Williams was an accomplished actor with many awards including Emmys and Oscars to show for his success in Hollywood. The success once brought his net wealth to about $100 million. However, Williams saw his net worth decline during his last years. At the time of his death, his net worth was estimated at $50 million. His sudden death as a result of suicide has led to many unanswered questions. Born on July 21st, 1951 in Chicago, Illinois, Williams grew up in a very capable family. Both his parents were rich enough with his father, Robert, working as a senior executive at Lincoln-Mercury Motors in charge of the Midwest area. His mother, Lauren, on the other hand, was a former model from New Orleans. As a child, Robin was a rather shy boy who hardly ever spoke. He attended Redwood High School in Larkspur, California then proceeded to the College of Marin in Kentfield. Later on, he joined the prestigious Julliard School in New York. He first joined Hollywood to play a part in “Happy Days.” Williams soon found fame as a fan favorite. In fact, his stint on the show was so successful that the producer of the show created a spin-off (“Mork & Mindy”) based solely on Robin’s role. The spin-off aired for four seasons between 1978 and 1981, airing 94 episodes in total. Robin was paid $35,000 per episode, quite a big chunk those days; an equivalent of $130,000 in today’s money. Following the success, Robin went on to launch a career as a stand-up comedian. Robin Williams got married to Valerie Velardi, his first wife, in June 1978. The couple met in 1976 while Robin was working as a bartender in San Francisco. They had a son before their divorce in 1988. In 1989, he got married again, this time to Marsha Garces who was, at the time, his son’s nanny. Marsha was pregnant with the couple’s child at the time. The duo filed for divorce in 2008, citing irreconcilable differences; the divorce got finalized in 2010. The third time’s the charm. Robin got married to a graphic designer – Susan Schneider – in 2011. The pair got married in St Helena, California. The two were together until his death. Robin had three children from his first two marriages; his first son, Zachary Pym Williams, was born in 1983 during his first marriage. From his second marriage, his daughter, Zelda Rae Williams, was born in 1989 and his second son – Cody Alan Williams – was born in 1991. Robin Willaim passed away on the 11th of August, 2014 at his home in California. He was 63 at the time of his death. He committed suicide by hanging; sadly, he hung himself with a belt and died from asphyxiation. The final autopsy report reveals that there was no alcohol or illegal drugs in his system. On the 12th of August, his body was cremated and his ashes were scattered in the San Francisco Bay. His death shocked the world and was instantly global news. Tributes poured in from all over the world which was understandable because as an entertainer, he touched a lot of lives and influenced a lot of people. The then president of the United States also spoke positively about Williams after his death. There was initially a real fear that Robin’s death might have left his family in real financial troubles. In an interview with Parade Magazine in 2014, Williams lamented the big sums of money he had lost in his last two divorces (reportedly $30 million). He even went ahead to say that turning to TV was not his first choice but an attempt to make extra money to pay the bills. He also admitted to listing his Napa Valley estate for sale, not because he wanted to do so but because he could no longer afford to keep it. Available records indicate that William’s real estate is of significant value. The Napa mansion rests on a 653-acre piece of land and at the time of listing was estimated to be worth $29.9 million. Williams also had a 6,500 sq-foot waterfront home in Tiburon, California valued at approximately $6 million. That would mean that his real estate alone would be worth close to $36 million. However, at his time of death, both properties were subject to mortgages totaling to about $7 million. So, the real estate he left behind was only worth about $25 million considering that the Napa mansion would not have fetched the whole $29.9 million. Though it is true that Williams actually said he was almost bankrupt, however, publicists have come out to rubbish such claims, saying that the man was “definitely” worth tens of millions at the time. 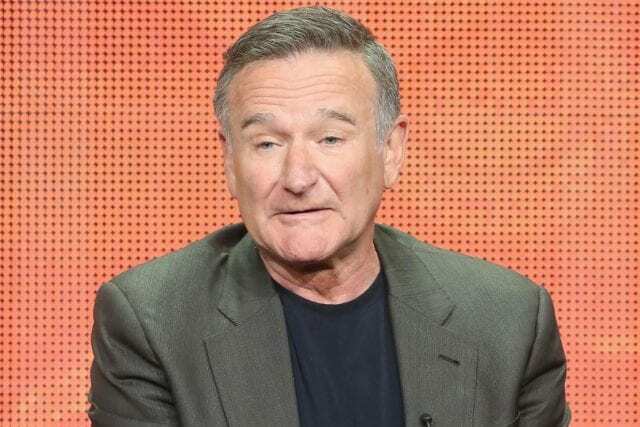 According to Forbes, Robin William was worth $100 million in 2014 at the time of his death. A fact to assert their claim include Robin’s insurance policy which was worth many millions. It was also reported that Robin left behind two trusts, both under “Domus Dulcis Domus Holdings”.